Designer Tala Kamea and stylist Jodee Aguillon recently collaborated on a photo shoot showcasing Tala Kamea’s gorgeous, modern take on the Philippine terno. The terno is type of traditional Philippine dress worn by women on formal occasions. It is a one piece seamless garment with distinct butterfly sleeves. The sleeves create the perfect frame to showcase the face as well as the delicate collarbone and smooth shoulders. The terno’s basic design is incredibly elegant and simple. 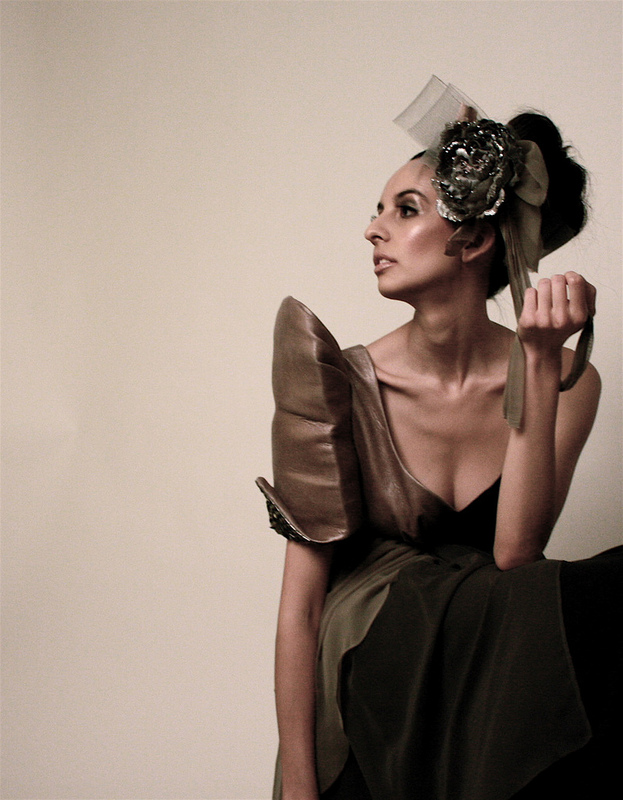 Tala Kamea used chiffon, leather, and metal studs in the creation of her terno, entitled Lady Maganda. The unusual and eclectic mix of materials create a striking effect without diminishing the traditional elegance of the terno’s lines. Lady Maganda was first exhibited at the Vinta Gallery’s launch at Kapisanan in 2009. The amazing thing? These lovely photos are not the final ones… those will be up soon! 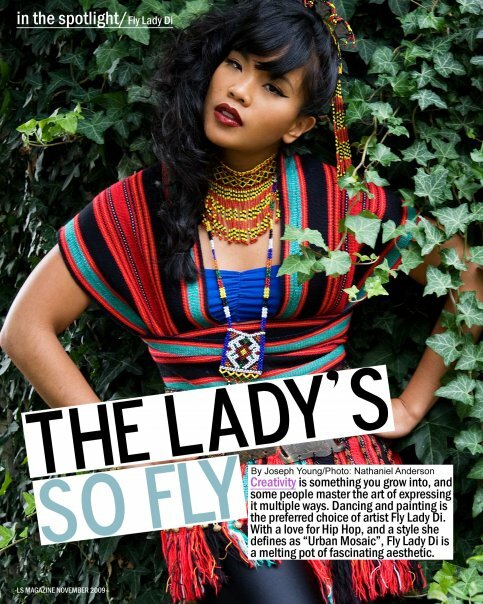 Stylist Jodee Aguillon, who is also a talented choreographer and multi-disciplinary artist, has lent his skills to Fly Lady Di for her photo shoot in LS magazine. He took a bahag with vibrant colours and turned it into a blouse for this particular shoot. The look was complemented by the beautiful beadwork of the necklaces and hairpiece. The overall result was exotic, playful, and fierce. Very hot. If you would like to learn more about Philippine fashion, attending Jodee’s & Tala’s Flipside Workshop “HOW POP CULTURE RAIDED MY NANAY’S CLOSET (History of Traditional Philippine Fashion) is a must. The workshop is happening on Saturday March 27, 2010 at Kapisanan (167 Augusta Avenue) at 5 PM. Can’t wait to see you there 🙂 !!! ~ by cpnivera on March 12, 2010.